It was good to see that even for its 31st pedal, the Paris to Hayling ride continued to attract many new riders. As in a number of past years “Paris” was something of a misnomer since the route took us to St Malo, Rennes, Laval, Le Mans and Caen but not except for someone with extraordinarily bad navigation skills, anywhere near Paris. We passed through some great countryside in both Brittany and Normandy and spent many hours cycling in the picturesque Sarthe valley. New chairman Jon Tawse and his committee arranged a superb route and introduced some good innovations while at the same time keeping to the core values that have made the ride so popular for so long. Our last day’s riding in France was touched with sadness as it followed the atrocity in Nice. It was understandably difficult for some to reconcile the fun of our ride with the tragedy that had taken part in the south of the country. Jon Tawse led a minute’s silence before the start of our final night celebrations which seemed the right way to acknowledge recent events. That evening we held a short awards ceremony where we recognised the Oompa Loompas for their fancy dress outfits and David Bower as the most impressive newcomer. Trophies were also presented to our two 80-year-old cyclists Jeff Jeffery and Ron Spencer. It is amazing the way they are still cycling, an example to us youngsters! The Proof That You Can award is a reminder that the Paris to Hayling is all about taking part and rising to one’s own challenge rather than being a super cyclist. This year the award went to Biddy Russel. Tribute was paid to the great contribution to the Paris to Hayling by Ditcham Park School pupils. Since 2005 when Will Stretch and Chris McQuade brought the first group, Team Ditcham has been an integral part of the ride. It was no surprise that the Young Rider of the Year went as many times previously to Adam Smith, a pupil at the school. Adam has proved not just to be a very competent cyclist himself but also l has been key to the development of others. For the first time in some years we finished at The British Legion and they organised a superb barbecue for us which made very pleasant end to the week. New rider Colin Dunn summed up this year’s event well: “Fantastic ride, great camaraderie, and the support was superb” . With this sort of feedback it seems highly likely that we are set for strong demand in 2017 for the 32nd Paris To Hayling! Sunday 10th July – We’re off! We packed our luggage in the support vans and made our way to Portsmouth for the overnight ferry to St Malo. After a lovely restful crossing much enhanced by a sensible arrival time of 08.30 (two hours later than the Caen crossing) we set off to Rennes. The first day was about 50 miles and there were plenty of places to stop en route to eat and drink. Our hotels were all close to each other and opposite the station. There were some nice restaurants nearby and we enjoyed a well-earned drink from about mid afternoon. All very relaxing to set us up for the rest of the ride. There were two route options today. The direct route was 51 miles with an option of 71 miles. 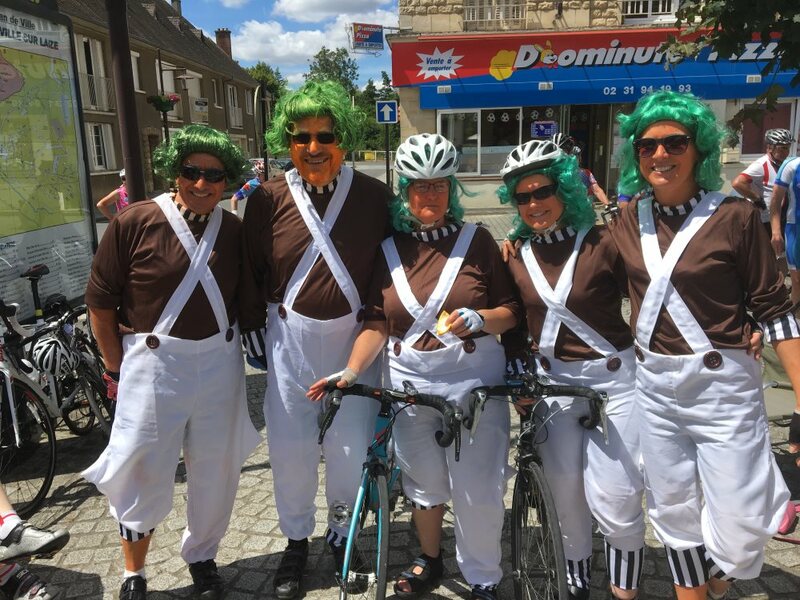 Riders made their decision when they arrived at Vitré where the routes split. 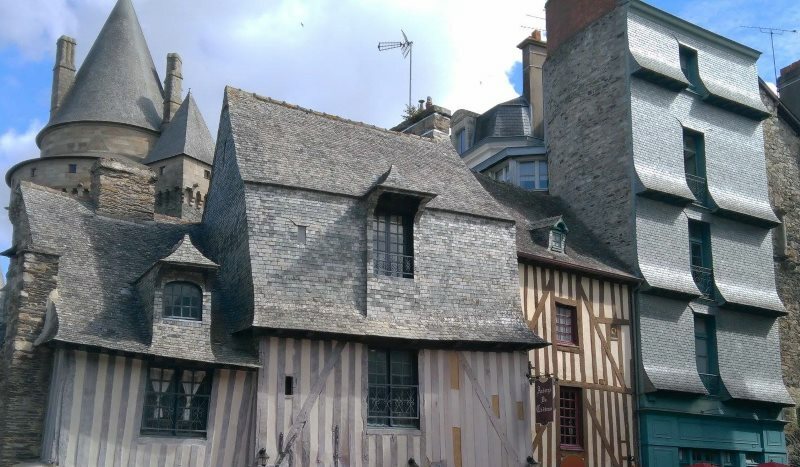 Vitré is a lovely town with good cafes and food options. Each route was very pretty, most opted for the longer route. The hotels were near the centre of Laval and not far apart. 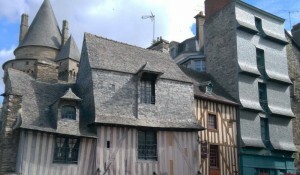 Laval is a beautiful small town and well worth looking round. The bars and restaurants are numerous and quite spread out – never far away. Today once again had two route options to Le Mans. The ride split after 18 miles. The short route was 53 miles and the long option was 78 miles. 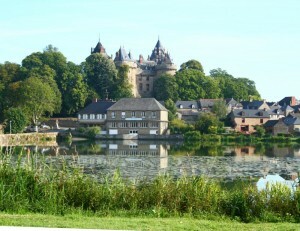 The long ride follows the beautiful river Sarthe all the way to Le Mans. Many people commented on this being one of the nicest routes they have been on during the many years they have participated. In the evening we had a social evening with a Le Mans theme. Today riders chose to do “the hill” or a route that by-passed it. We rode around 65 – 70 miles. It was Bastille Day but we found places to stop including Alencon (around 40 miles) which made an excellent lunch stop. No options today, just an easy 45 miles to Caen in good time for the party in the evening. A short, traffic-free ride took us to Ouistreham where we caught the ferry back to Portsmouth. When we got back to Portsmouth we headed to the rally point at Langstone Technology Park to start our annual procession back onto Hayling and the end-of-ride reception at the Royal British Legion.